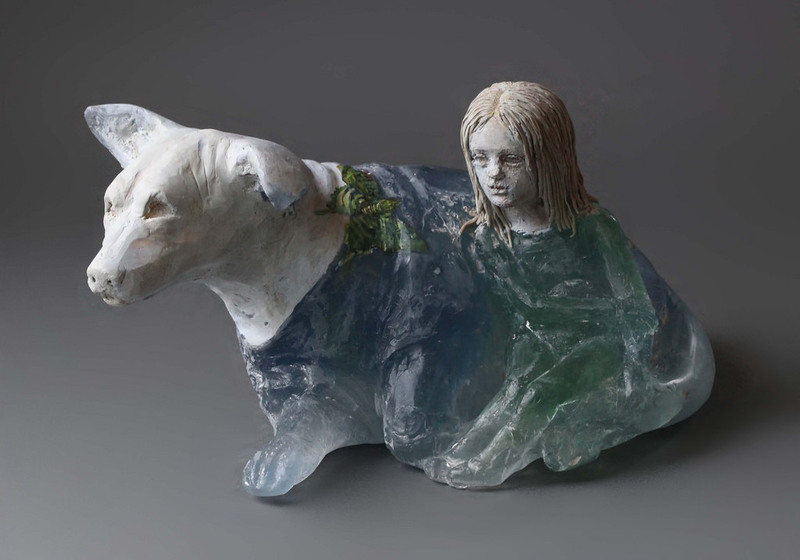 That's not resin; it's cast glass and stone. 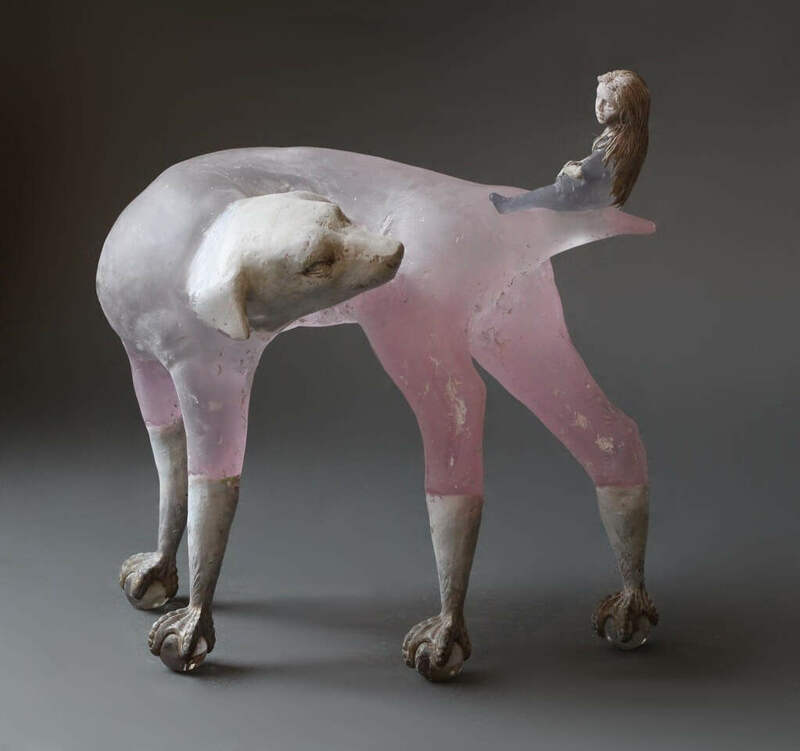 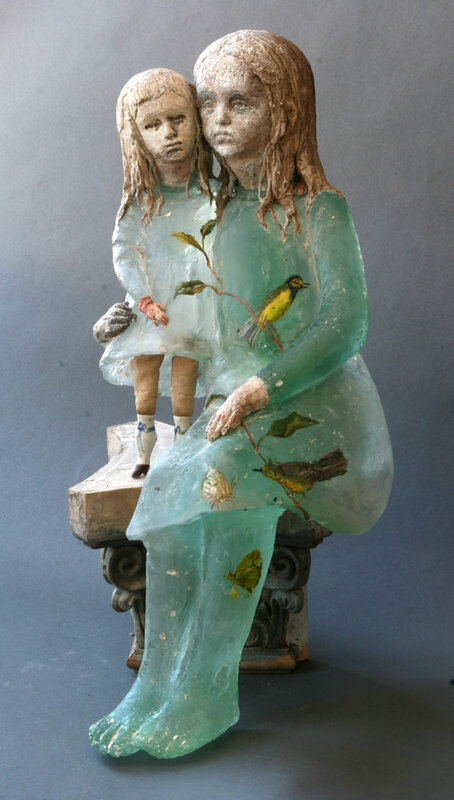 Christina Bothwell went to art school for painting but taught herself the ways of ceramics and evetually cast glass. 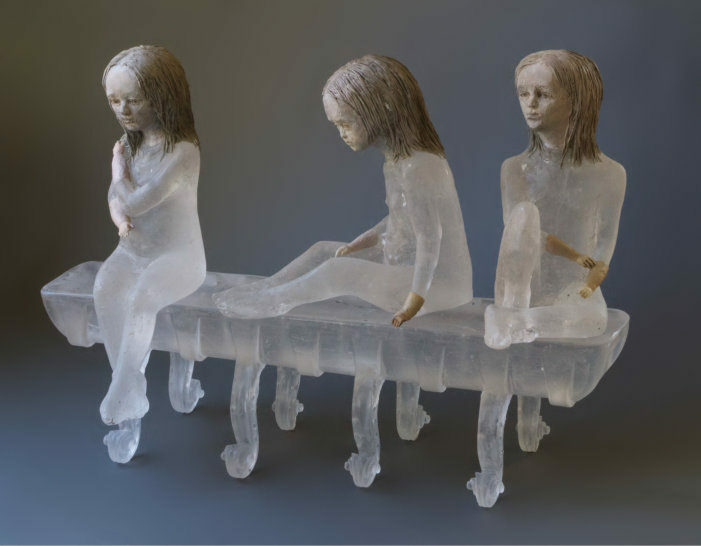 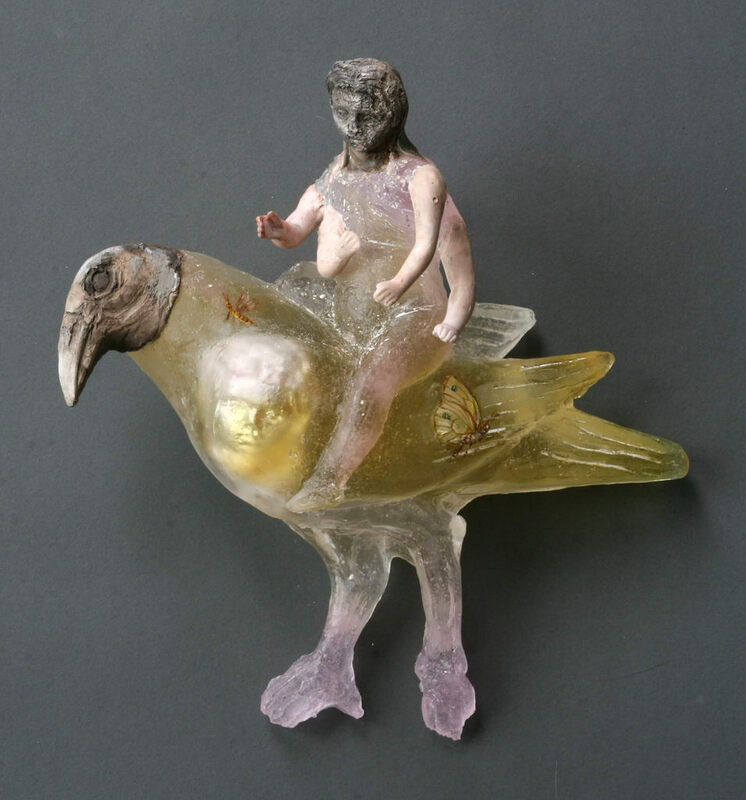 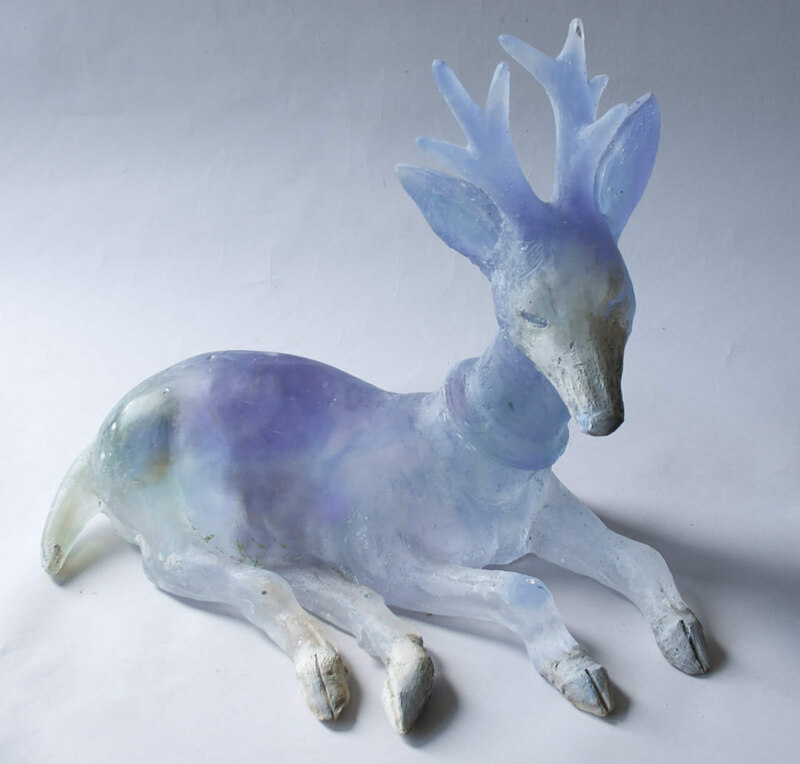 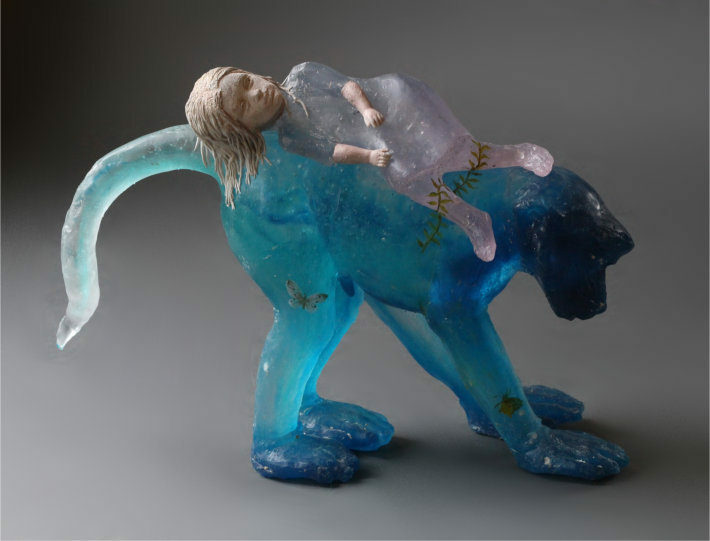 She creates these ethereal - and sometimes haunting - sculptures out of glass and stone. 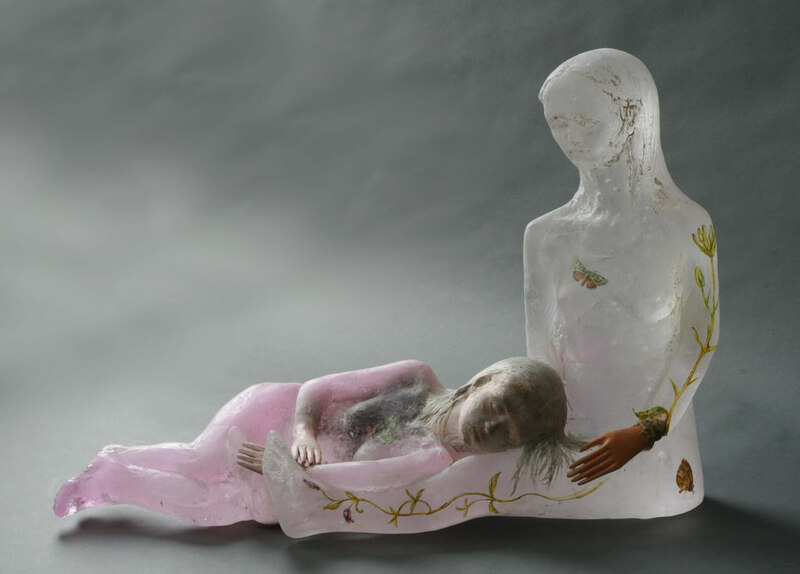 The transitions between the two materials are dramatic. 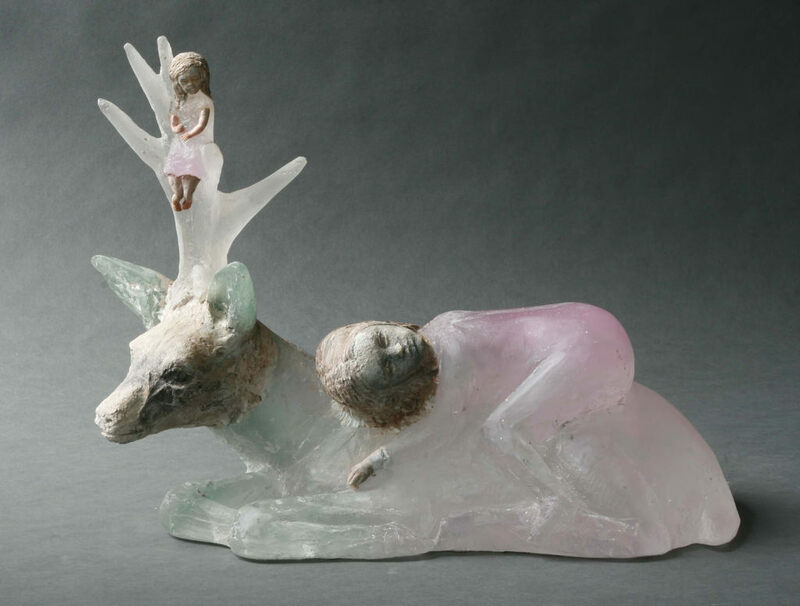 The stone adds a rustic vibe to the ethereal nature of the colored glass. 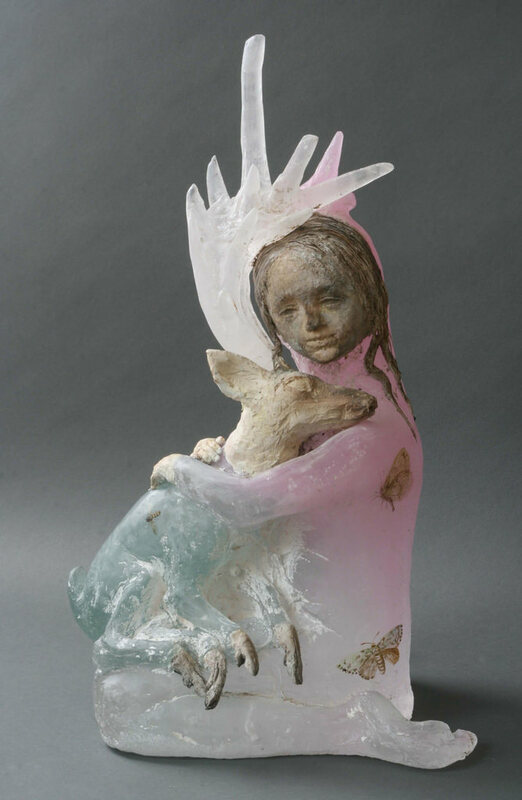 Check out more of her work here.